Some Hotel companies take Social Media seriously and understand that there are massive new opportunities out there. Hilton HHonors have just announced the World's Largest Global Social Treasure Hunt where they are giving away 500 Free Nights. This Multi-City Competition Kicks Off a 'Fast Ways to Free Stays' Global Promotion all based on Social Media engagement. Five cities around the world. Five days. 500 winners. One amazing giveaway. To engage and excite travelers around the world with its Fast Ways to Free Stays promotion, Hilton HHonors, the loyalty program for Hilton Worldwide's 10 hotel brands, is activating the world's largest social media treasure hunt, giving away 500 free hotel nights over the course of five consecutive days beginning today, October 17, 2011. The social media treasure hunt celebrates the global promotion, in which all Hilton HHonors members can earn double HHonors points or free nights for hotel stays now through December 31, 2011. Clues for the treasure hunt activities and locations will begin appearing this week on the Hilton HHonors Twitter account (www.Twitter.com/HiltonHHonors) and Facebook page (www.Facebook.com/HiltonHHonors). HHonors members and treasure hunters must follow or become a fan to uncover the giveaway cities and required tasks. 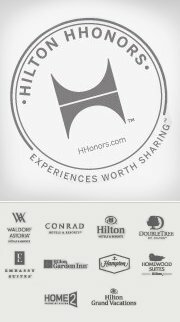 In each city, the first 100 people to correctly complete the task and find the Hilton HHonors team will be awarded with a free night certificate, redeemable at any participating property in the Hilton Worldwide portfolio of brands, including Waldorf Astoria Hotels & Resorts, Conrad Hotels & Resorts, Hilton Hotels & Resorts, DoubleTree by Hilton, Embassy Suites Hotels, Hilton Garden Inn, Hampton Hotels and Homewood Suites by Hilton. "Hilton HHonors members, followers and fans in five different cities worldwide will have a chance to take part in a unique event that shows that Hilton HHonors is about more than just points -- it's about the experiences we share with those around us," said Jeff Diskin, senior vice president, global customer marketing, Hilton Worldwide. To participate in the Fast Ways to Free Stays social treasure hunt, follow Hilton HHonors on Twitter (www.Twitter.com/HiltonHHonors) or Facebook (www.Facebook.com/HiltonHHonors).